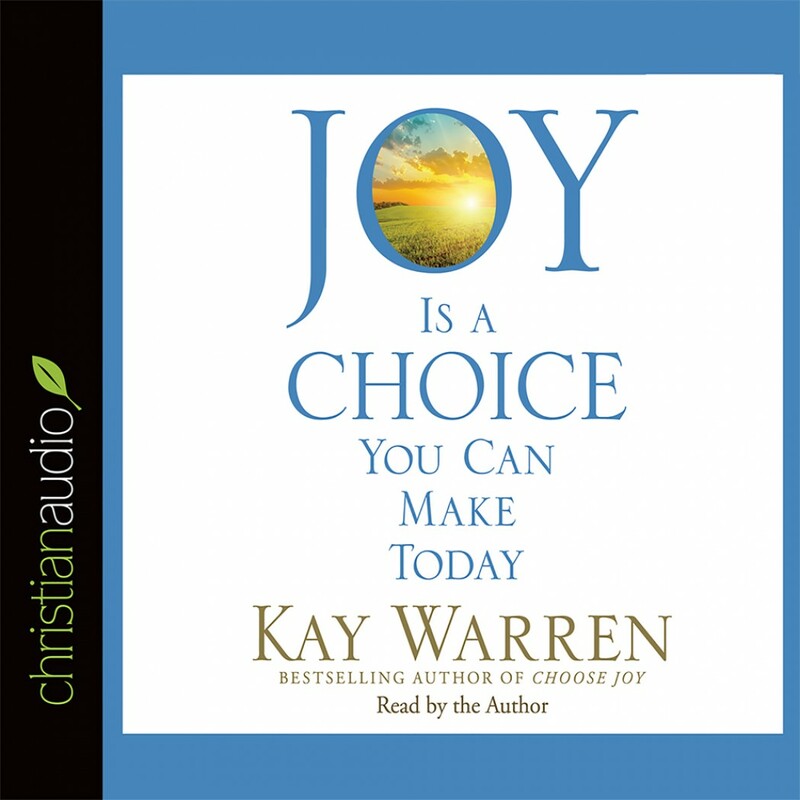 Joy Is a Choice You Can Make Today by Kay Warren Audiobook Download - Christian audiobooks. Try us free. In Choose Joy, Kay Warren showed readers that they could live a life characterized by deep and lasting joy no matter what their circumstances because joy is a choice to make, not a feeling that comes over them. Joy Is a Choice You Can Make Today is a small format book drawn from the first three chapters of Choose Joy. Illuminating the life of Jesus--a life that exhibited great joy despite opposition, sorrow, and pain--Warren shows readers that God created them not for hardship or drudgery or struggle, but for a life of joyful relationship with him and with each other. A perfect giveaway for churches, small groups, and individuals who want to encourage a friend, Created for Joy gives readers a solid foundation for the life of joy they crave and introduces them to Kay Warren's rich, life-changing writing.